Ok, cool, using http://www.imgbb.com to store and share photos, and working nicely. 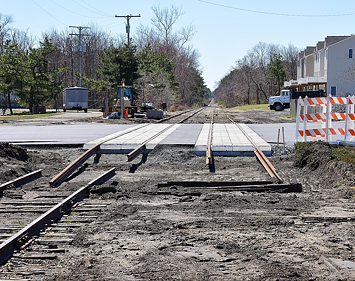 So, the Union Ave. grade crossing was open to vehicular traffic on Saturday, 3/31, and things are looking good. The rest of the NJSL line through Whiting and Pasadena looks good, although the last storm took down about 2 dozen trees across the tracks to be cleaned up. Last edited by RailsEast on Sun Apr 01, 2018 2:56 pm, edited 1 time in total. Looks like a lot of brush has been cleared. Is the line still severed under the Rt 70 overpass? 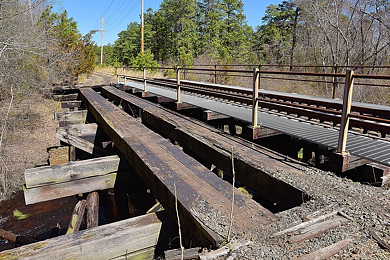 Yes, Ben, the NJSL portion is very clear & ready for trains from Lakehurst to Woodmansie, and the Southern Secondary is still severed under the bridge; will need trackbed work & new ties on both ends as the bridge rebuild actually raised the deck 3 or 4 inches. 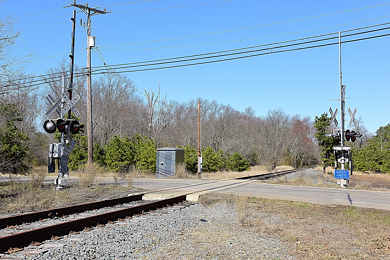 Also, the NJSL passing siding needs ties/tamping south of Union Avenue. The Clayton line hasn't looked this good in over 30 years...it's very encouraging. Fantastic work Chris! Thank you for sharing. Fabulous photos, thank you for sharing. Thanks Chris. Does it look like they are replacing the crossing protection as well or just the crossings themselves? It's interesting that they're doing all three tracks. I saw no evidence of new crossing protection on my visit, but I will assume new gates & flashers as they did at Lacey Rd and Wranglebrook Rd in Whiting. Great pictures, Chris! Keep them coming. Thank you. Ditto! Great pictures. A tour de force. 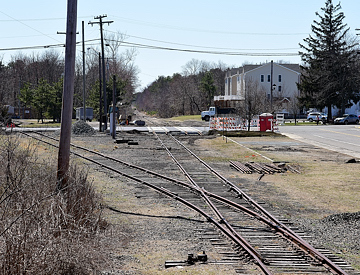 Chris beat me to the punch with the photos from Manchester/Whiting at the Route 539 crossing. I was out that way on my way home from Strasburg and stopped for some photos. For me, since the crossing was removed, putting the Route 539 crossing back in meant things were really going to happen for this project. Now, as we've seen and documented, the project hasn't been a rushed one, but we still have positive movements. Let's first go back to July 2014. 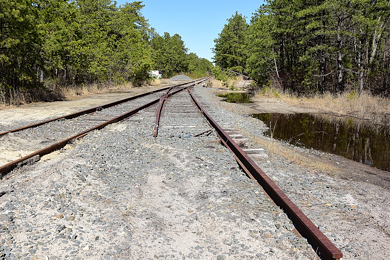 The crossing was re-installed, but the tracks still disconnected. 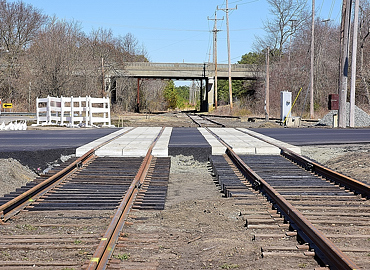 And now in March 2018, the track has been connected and the ROW cleared. Been pretty quiet, what's going on? Today I have seen a significant amount of grass cut off of, and around the tracks on both sides of the Union Avenue crossing. This must have happened since the middle of last week when I had passed through there and Whiting, in which I had not seen anything new. Just heard on police scanner,that a tractor trailer did damage to something at cherry st. Whiting. 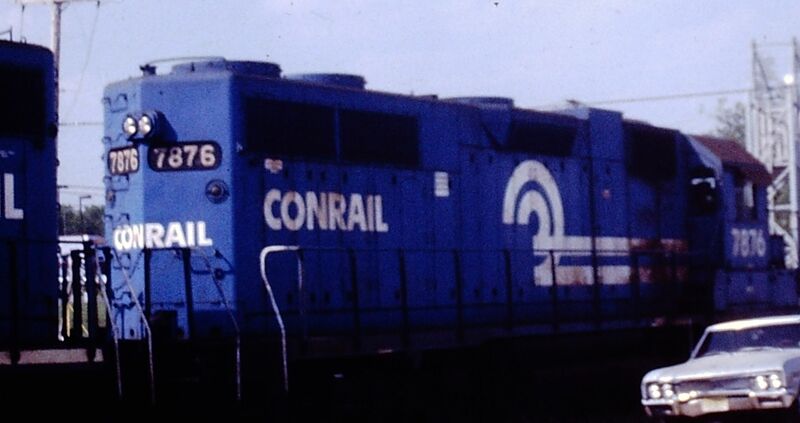 They said damage railroad trestel. Didn't make any sense to me. I'm thinking he damaged the tracks. Tanker1497 wrote: Just heard on police scanner,that a tractor trailer did damage to something at cherry st. Whiting. They said damage railroad trestel. Didn't make any sense to me. I'm thinking he damaged the tracks. Maybe damage to the crossing signals? 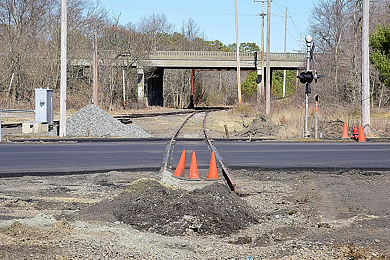 Even more baffling, there are no railroad crossings or bridges on Cherry Street. There is one portion of that street between Diamond Rd. and Rt. 539 that curves very close to the tracks with some trees and brush in between. 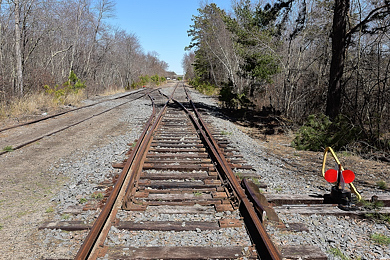 Perhaps a truck went off the road through the trees and then onto the tracks? That would be the most likely scenario in my mind.